March 2018: Find links at the bottom to share the news! GRASS has started receiving a monthly 20lb delivery of Wagatha’s Organic Biscuits from us and also has received financial assistance with their extensive medical care bills. GRASS will continue to receive further ongoing assistance from us for many services for their Sanctuary residents. The total cost of food, prescription diets and treats for the HBGRR’s program increased by 50% this past year which we will pay for in full. It is important to note that they had many dogs on specialty food this year including all of their seizure dogs who are now using a new, special food from Purina called Neuro Food. They feel that this has been very successful in increasing the quality of life for these dogs, but is also very expensive. Additionally they had several dogs with liver and/or kidney diseases who are on prescription diets for life. We are grateful that more is being found out daily just how much different foods impact canine medical conditions and treatments. We are happy that we can enable the HBGRR Program to continue to provide these additional avenues of supportive/therapeutic care. This past very cold spell in January was quite difficult for dogs admitted to DVGRR’s Sanctuary from warm climates such as Puerto Rico and dogs that had little coat due to age, medical conditions and also severe neglect. The GRSRS&EC sent to Heather, the Sanctuary Director, 7 fleece lined waterproof deluxe dog coats to help this population of Sanctuary residents to be able to exercise and be outside warm and comfortable in their “coats“ during playtime. A Special Thank you to Lynn Braga for helping us to be able to purchase these coats for a very special and short time discount sale price by driving to the stores that offered this sale, during rain, sleet and snow…and we had all that weather during her trips to acquire the coats. A Golden Kiss from the Sanctuary Residents to Lynn. The DVGRR Program has added to their Rainbow Bridge Memorial Garden a black Granite brick to perpetually honor the GRSRS&EC people for its continuous support. The HBGRR Memorial Garden has placed the name of the GRSRS&EC Program on their Garden Plaque to honor the common Passion and Mission of both the HBGRR Program and the GRSRS&EC Program …. which is Rescue. Visit our website to see HBGRR's thank your letter to our supporters! The income from the recent "For the Love of Senior Goldens" Online Mega Auction and the additional donations also sent in during that event raised appropriately $6,000. This income will help us to provide critical assistance to the Three Sanctuary Programs we serve and others nationwide throughout the year that may require emergency short term financial aid. A very special Thank You to all the people who donated wonderful items for the auction and to those who bid on items too. We had an excess of items donated and they will be offered at different future events. I know it may seem at times as if we are always doing fund-raisers, but that is how we are able to help provide major support systems and specific care and safety items for the Golden Oldies Residents we cherish. We do try and make the fund-raising activities ones that entertain and also educate the public. We will be adding additional educational programs for children in the near future. Together during the past two years we have helped to make on site emergency power generators a reality for DVGRR and HBGRR. We hope to help GRASS with such a project in the future. They truly understand the need for such a backup system after last fall’s terrible destructive hurricane/flooding. The winner of our "Filled with Love" Supper Bowl Donation Contest was Sherri W. Sherri won a felted, waterproof Dover Deluxe Dog Coat great for the spring when the need for a heavy coat is not necessary or comfortable on those great walks through the woods! Congratulations Sherri! 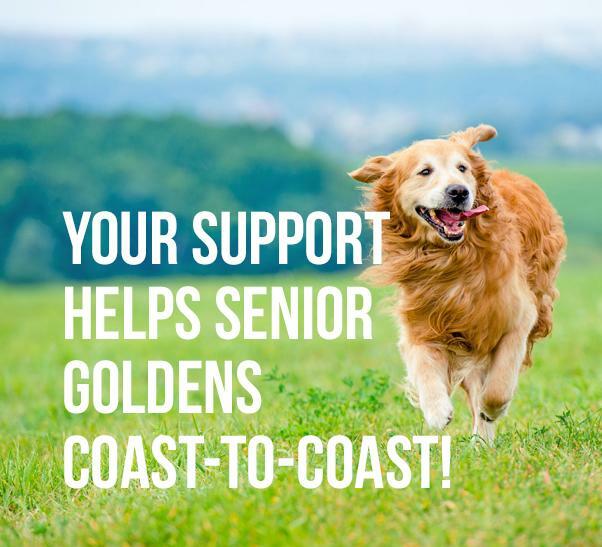 Year round you can help the Senior Goldens fill their bowls with love by donating to this program! A new blood test called the Tick-Borne Disease Serochip ( TBD Serochip) promises to revolutionize the diagnosis of tick- borne disease in humans by offering a SINGLE test to identify and distinguish between Borrdlia burgdorferi, the pathogen responsible for Lyme disease, and 7( SEVEN) other tick-borne pathogens. It then helps, with this one test, to select the proper treatment. There is no delay, no waiting for any skin manifestations like the famous red circle…you all know what I mean…Go to Columbia University’s Mailman School of Public Health and click on an article posted in February 2018 titled FIRST MULTIPLEX TEST FOR TICK BORNE DISEASES IN HUMANS. Also regarding dogs and ticks…remember to check the mouths of your dogs for ticks. The new short grass calls to our dogs and unfortunately the ticks also like the thick cover and while your dog is eating the grass the ticks can attach themselves to inside the dog’s mouth, on the dark lips…hard to find and even between teeth. 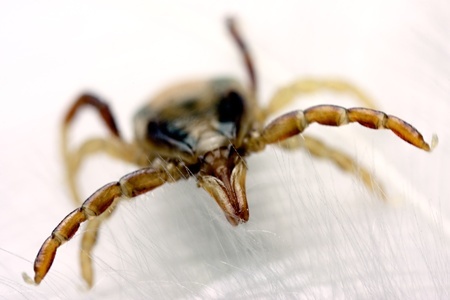 Be vigilant these tick borne diseases can truly be killers.